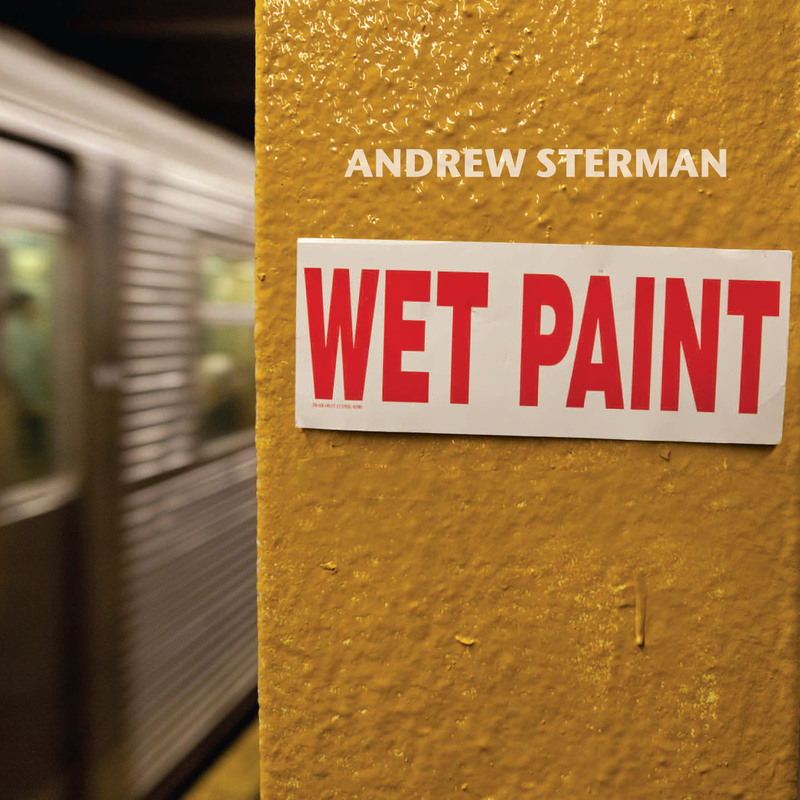 Composer/saxophonist/flutist Andrew Sterman’s new release, Wet Paint, is in many ways a throwback, even as it sets its sights on a distant musical horizon. Recorded in one session without overdubs, edits, or fixes, it explores the deep connection between composition and improvisation in the jazz idiom. Sterman composed the music from “within the band,” writing highly expressive instrumental pieces designed for the specific players on this session. Comprising both mainstream players and experimental improvisers, the group’s unusual mixture pairs the rhythm section of Tim Horner on drums and Kermit Driscoll on bass with pianist Mick Rossi, violinist Todd Reynolds, and Richie Vitale on trumpet and flugelhorn. Guiding them through ten new pieces—some scratched out on a half-page of paper, others meticulously arranged—is Sterman, plumbing both jazz and chamber music traditions with humor, solemnity, passion and grace. It’s a role Sterman is comfortable with, given his experience both in contemporary classical music (he’s been a member of the Philip Glass Ensemble since 1992 and toured and recorded with Bang On A Can, EOS Orchestra, and many others) and in the jazz world (where he came up playing with everyone from Sinatra to Dizzy Gillespie to Freddie Hubbard to Buddy Rich). The wealth and diversity of his experience comes through loud and clear on Wet Paint, where his writing pushes each performer to present their truest musical selves while staying vividly alert to the group interaction and compositional tapestry. Sterman has been a practitioner and teacher of tai chi and qigong for well over 20 years, and is a serious student of Classical Chinese herbal medicine. The breathing insights from qigong and concepts such as release, flow and intrinsic power have inevitably entered his music at a very deep level.